In context of calls SENSE – Programme of support to civil society in environmental Swedish International Development Cooperation Agency (Sida), were obtained funding for the project: Dialogue for the prevention of natural hazards, which will be implemented by the Union of ecologists and ecological partners Youth Association “Our Ljubovija” and the Association EKODRINA – Mali Zvornik. – Raising awareness of the interested public about his role in the management of the environment and the ways to achieve this role. The project is implemented in the municipalities Ljubovija and Mali Zvornik in partnership with one CSO from each municipality. Project activities are in line with local needs and are supported by local governments. Union of Ecologists UNECO from Belgrade the Centre for Environmentally Sustainable Development in Sarajevo, started on December 1 2012. realization of the project “Wise use of common natural resources – road to sustainability border region Serbia / Bosnia and Herzegovina”. The project objectives are in line with the resolution of the biggest environmental problems in the region – strengthening the capacity of local governments in the management of natural resources, application of strategic documents and the implementation of relevant laws, creating strategic approach to protection and use of natural resources at the local level and promotion of mutual cooperation and communication among all stakeholders in the region, particularly between civil society organizations and local authorities. Main beneficiaries of the project results should be local authorities in six municipalities of the cross-border region – three in Serbia (Bogatić, Ljubovija, Mali Zvornik) and three in Bosnia and Herzegovina (Bijeljina, Zvornik and Bratunac). Apart from them, benefit will have all public utility companies engaged in forest and water resources as well as civil society organizations working on the territory of these municipalities. 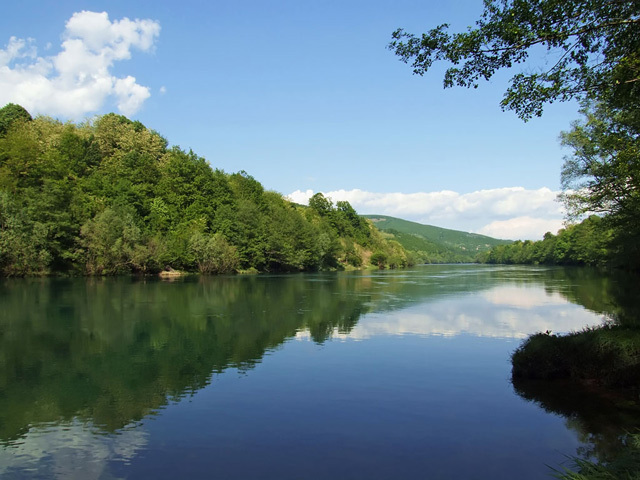 Overall objective of the project is to contribute to sustainable development of cross-border region between Serbia and BiH, which will be achieved by encouraging cooperation in the integrated management of natural resources in the basin of river Drina. This objective is in line with the policy of sustainable development advocated by the European Union, which is carrying principle – the sustainable use of natural resources, is also in the National Strategy for Sustainable Development of the Republic of Serbia and the National Environmental Action Plan of Bosnia and Herzegovina. Strategic approach to planning the use and protection of natural resources will establish a balance here between two conflicting activities. This setting of things should lead to long-term socio-economic development region and local population, which will get the conditions to use natural resources in ways that will not interfere with their use not by future generations. Specific objectives which are complementary with the general, and that will be achieved through project activities are: increasing the capacity of local authorities in environmental management, encouraging cross-border partnerships through development of joint activities for efficient use of natural resources and raise awareness of local communities on environmental issues. Activities by which will be realized objectives are divided into several areas. Analysis and mobilization of stakeholders will be performed in order to identify the needs, resources and capacity to participate in managing the state of the environment border region. Through organization of workshops on the management of integrated resources, analyzes the state of the environment and public participation in solving similar problems, will be achieved by strengthening the capacity of local actors. As a central activity of the project allocated to development an action plan of wise use and protection of natural resources, which will take place in several stages – collection and analysis of data about the potential of natural resources in the region, the creation of databases in geographical information system (GIS) and eventually develop an action plan by experts on the basis of collected and processed data. During the entire process of project implementation very important role will have to promote the results achieved and dissemination of information to all groups that can benefit from the project activities.